Sentinel jumpstarts development. In our increasingly technological world, it’s more important than ever for companies to stay connected and continue to evolve in order to stimulate productivity, growth, sales and profits. Sentinel Technologies has been ALWAYS LEADING for more than 30 years by working with companies of all sizes and structures to help ensure they have the right technology solutions at their disposal to meet the challenges of today and tomorrow. Sentinel’s Communications and Collaboration Services make it easier for companies to connect and share with others no matter where they are or what device they are using. 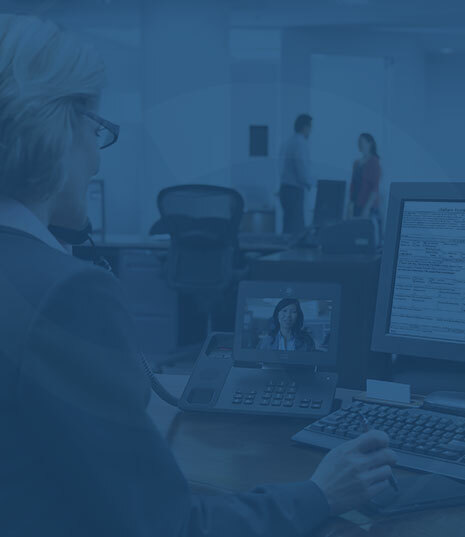 We partner with industry leader like Cisco and Microsoft to offer customers the latest in Unified Communications, Mobility, Conferencing, Video Collaboration and Video Surveillance products to address your needs. Sentinel's Data Center Services offer everything from conception and design of your IT space to compute, storage, backup, recovery and security for your system. We have a wide variety of solutions from EMC, VMware, Cisco and Microsoft that are equipped to handle all on premise IT needs, and can also integrate cloud to increase flexibility and reduce deployment times. Sentinel's Cloud and Managed Services ease the burden on your IT department by overseeing the management, monitoring, support and maintenance of your network for you. Our cloud solutions cater to your company’s unique needs regardless of location, management and consumption models for IT.